Restaurant recommendation is now easier than ever!!! 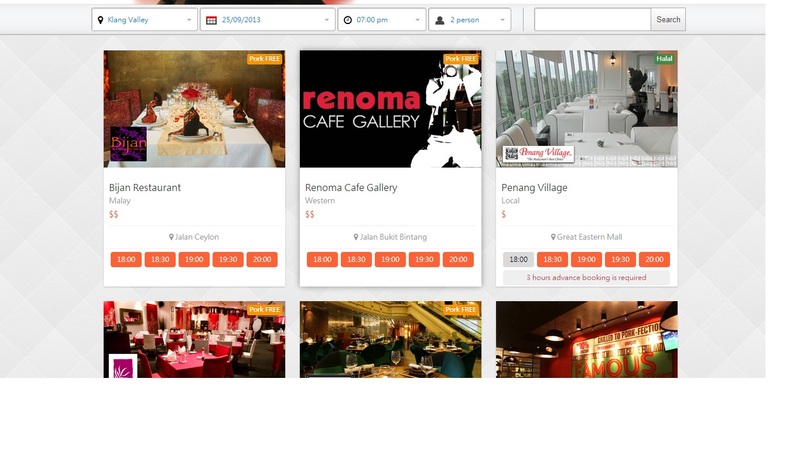 07 October 2013 Categories Development, TableAppLeave a Comment on Restaurant recommendation is now easier than ever!!! Let’s face it – we all love great food! Recommending places to eat is now easier with the ‘Restaurant Mail’ function on TABLEAPP. Your friends (or family) will be able to see your recommendation, read a description about it and best of all, make a reservation right away! Step 1. Go to the restaurant profile. (in this guide, we will use Penang Village). Step 2. Find the Restaurant Mail icon (show in figure) in the share on column. Click it and it will bring up a pop-out. 3. Enter the requested details, which include your recipient’s email and a message to him/her. 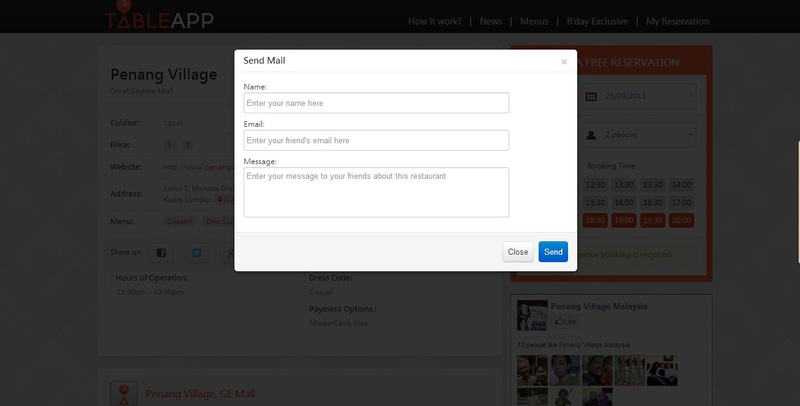 Then click Send and your recipient will receieve an email with your recommendation. Alternatively, you can recommend places through social media like Facebook and Twitter. Simply click on the respective icons next to the Mail icon. Happy sharing! To make a reservation via TABLEAPP, visit TABLEAPP.com or Download our app. Next Post Get treated on your birthday! Introducing our birthday promotions page.